Στα όπλα. Διαθέσιμο είναι πλέον το Gears of War 4 στα καταστήματα. To Gears ανήκει στα ‘Xbox Anywhere’ παιχνίδια, που σημαίνει ότι όποιος το αγοράσει θα έχει πρόσβαση τόσο στην PC (Windows 10) όσο και στην Xbox One έκδοσή του. Today, we’re thrilled to celebrate the official release of Gears of War 4 with fans around the world. 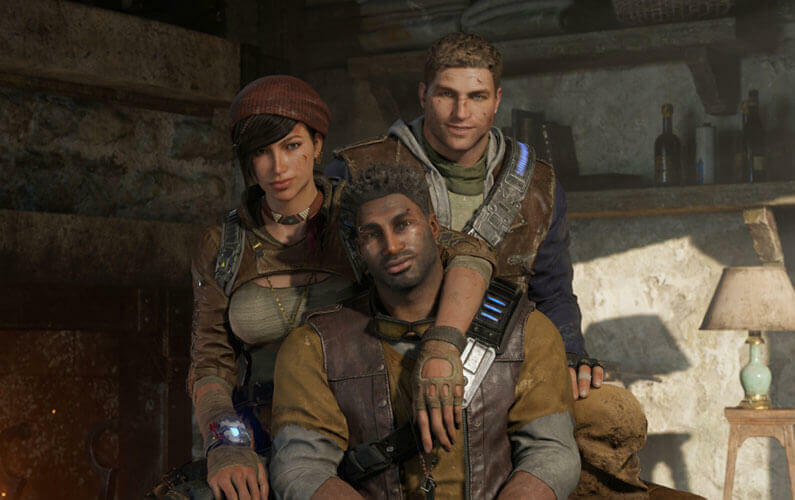 Gears of War 4 encourages players to “Never Fight Alone” with cross-play on Xbox One and Windows 10 PC across all modes (campaign, Horde and Co-op versus) and versus multiplayer cross-play in private matches. As an Xbox Play Anywhere title, you’ll get both versions with one digital purchase and be able to switch seamlessly between them, as all game progress, Gamerscore and Achievements are saved on and accessible through Xbox Live. Whether you enjoy battling the Swarm in co-op, fending for survival in the new Horde 3.0 mode or testing your skills in frenetic Versus multiplayer matches running in 60 FPS on dedicated servers, Gears of War 4 is the ultimate game to play with friends.